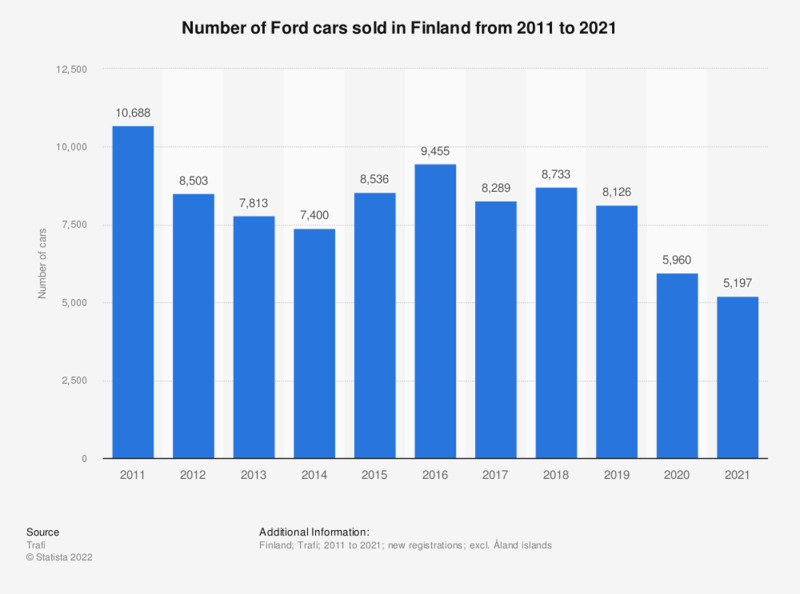 This statistic shows the number of cars sold by Ford in Finland between 2010 and 2018. Finnish sales of Ford cars rose from approximately 9 thousand units sold in 2010 to 10.7 thousand units sold in 2011, before declining to 7.4 thousand units sold in 2014. The figures increased again, and in 2018, 8.7 thousand Ford cars were sold in Finland.